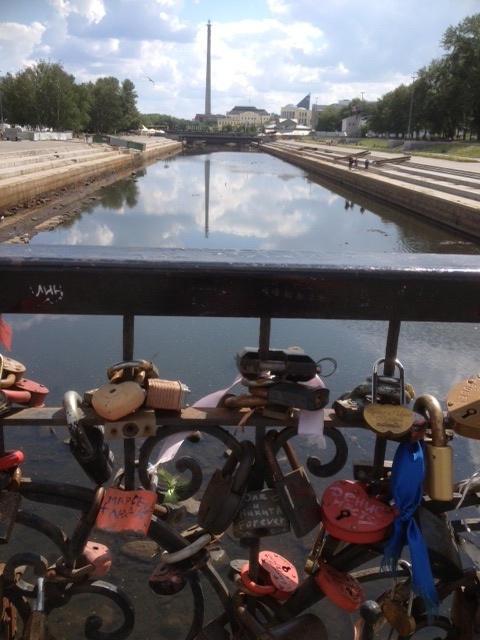 Love the idea of locks with your love’s name on the main bridges – there wasn’t much room on this bridge In Yekaterinburg – on the edge of Asia. 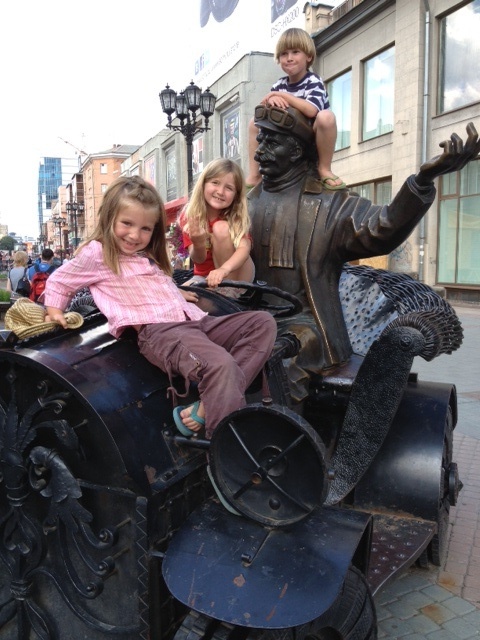 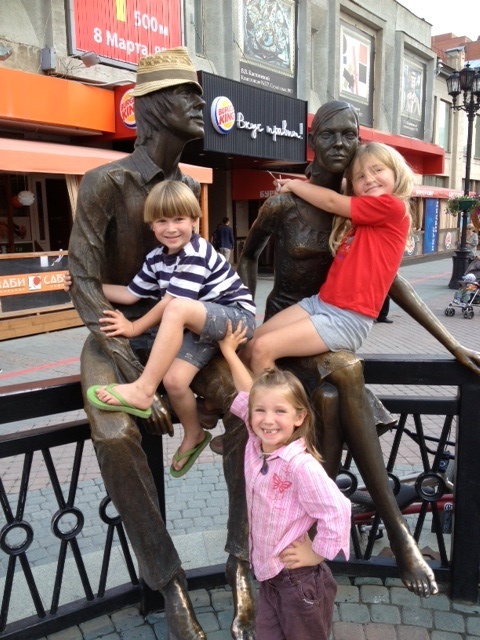 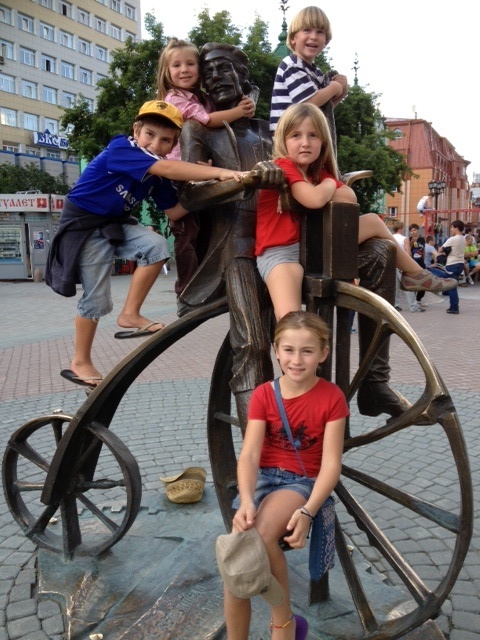 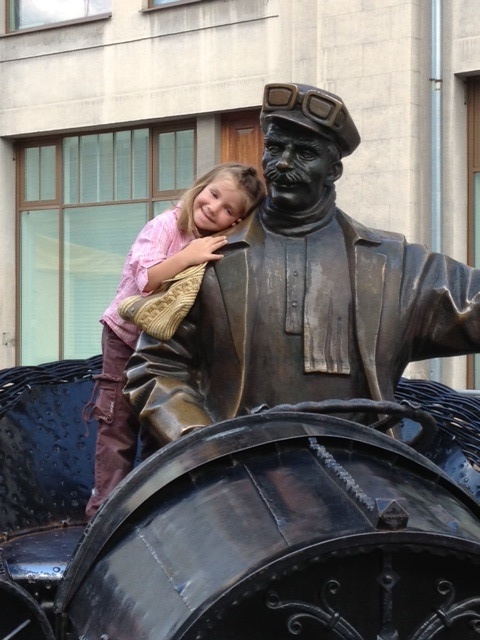 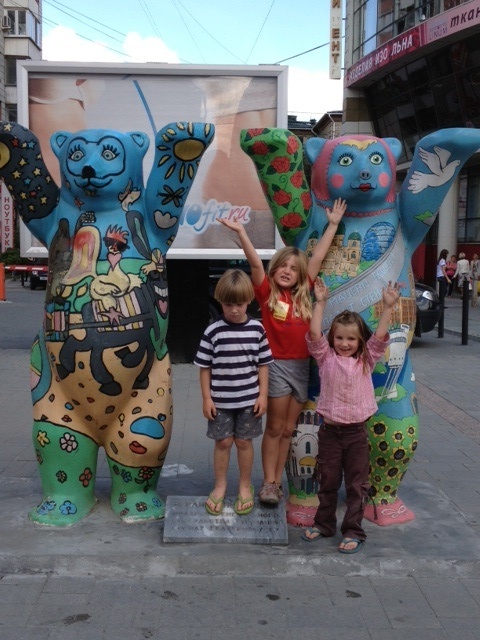 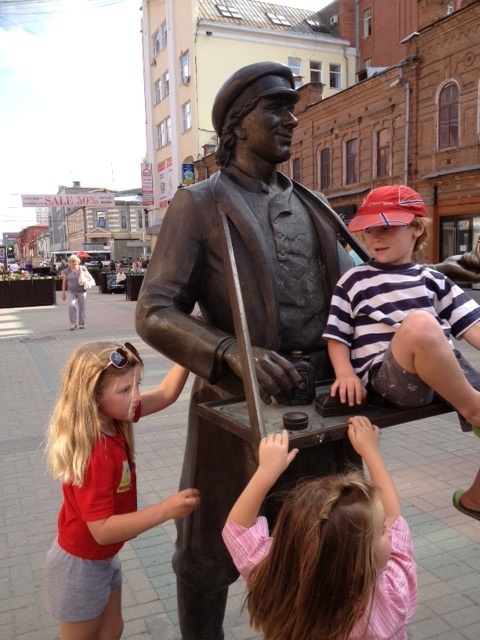 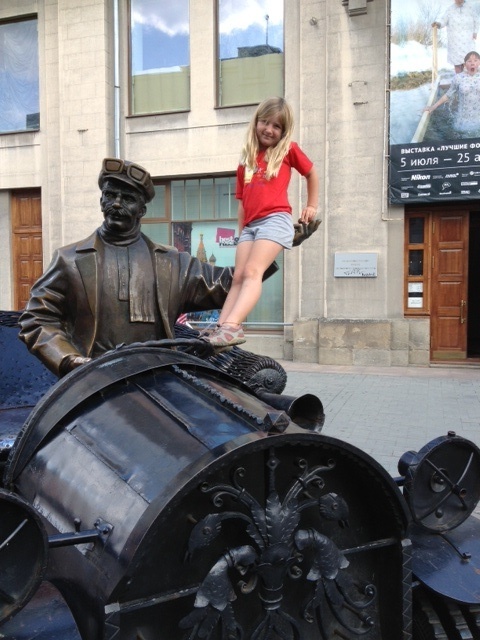 The children just loved the statutes of Yekaterinburg – any possible climbing opportunity will be taken. 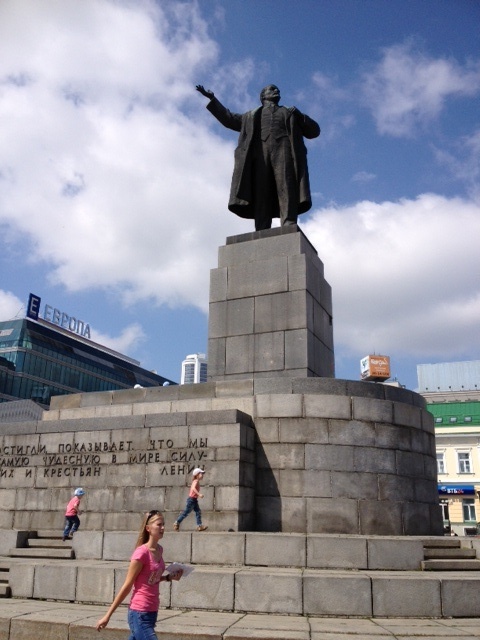 We were told that nearly all Russian towns have a Lenin street but you won’t find many or even any streets named after Stalin as when he died his enormous atrocities came to light and his memory was basically shunned. 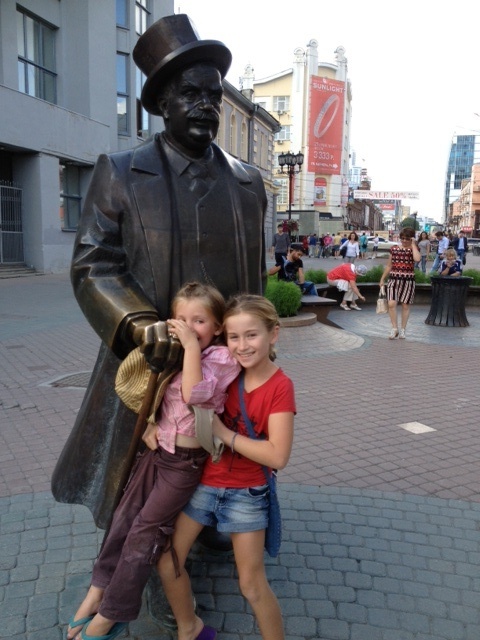 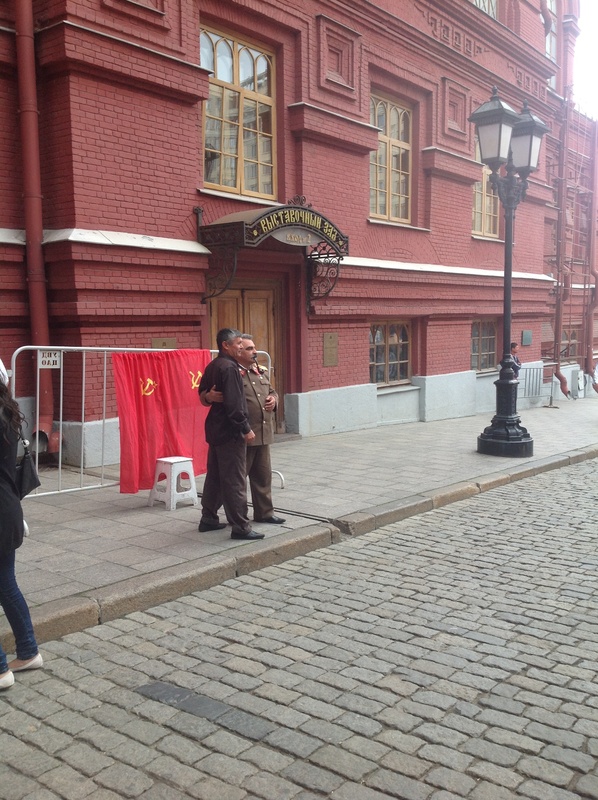 Most cities also have a Lenin monument – here’s also a photo of a Stalin look alike posing for photos with tourists.